John Wallick Jewelers: Precious Gemstones Pendant Necklace. 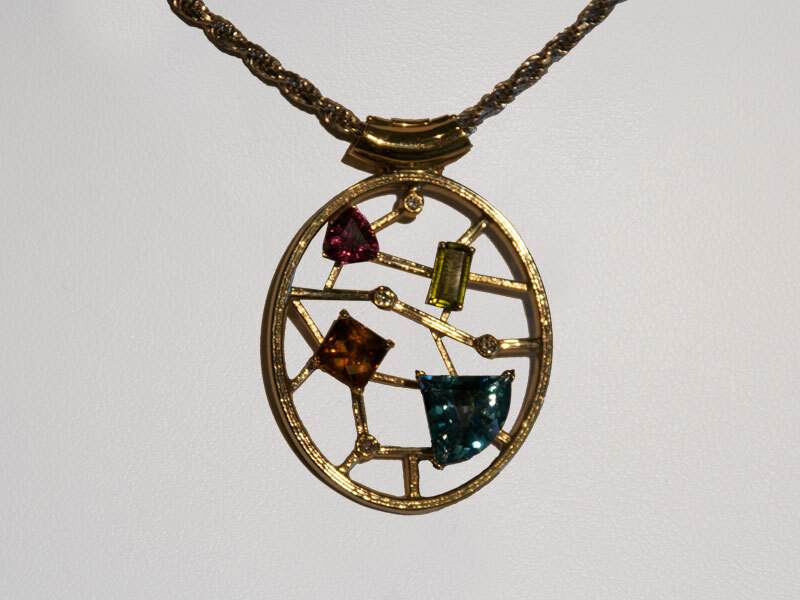 Custom made 14kt white gold pendant consisting of a trillion cut red garnet, emerald cut peridot, princess cut citrine, fancy trillion cut blue topaz and four accent diamonds. Pendant is $3,520.00 and weighs 15.2 grams. 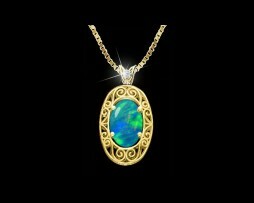 John Wallick Jewelers: Opal Pendant. 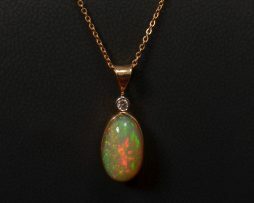 Lady's oval cabochon cut Australian opal pendant with diamond bail in yellow gold. John Wallick Jewelers: Emerald and Diamond Pendant Necklace. 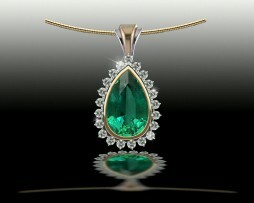 Lady's pear shape emerald and diamond pendant in yellow and white gold. 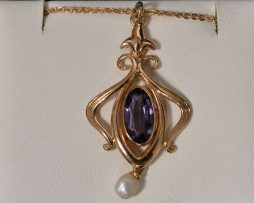 John Wallick Jewelers: 14K yellow gold pearl and oval amethyst pendant necklace.